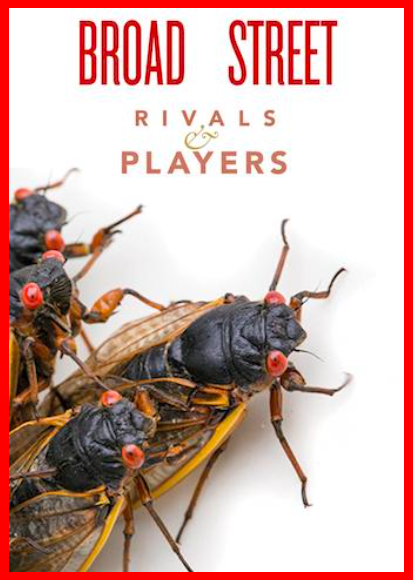 We’ve formatted this poem from our “Rivals & Players” issue as a broadside that you can drag to your desktop. Or simply scroll down and read in plain text. to feel again the sting of your loss. the vacant lots for what’s in the veins. Here it’s early morning, forty years ago. where I pause to study my shoes. on Cherry Street is not me. waiting on the school bus. the ’70s would be your heyday? air-conditioned, highball games of Risk.
. . . or maybe pretty ponies? by spine greening out into the blues. Helena, how far to come to here? 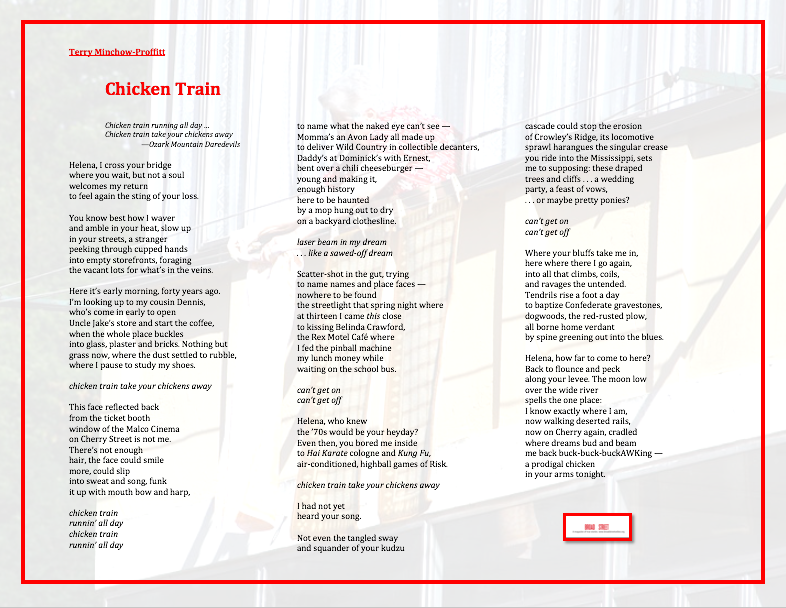 This is the title poem from Terry Minchow-Proffitt’s collected works, Chicken Train: Poems from the Arkansas Delta (Middle Island Press). Individual works have appeared or are forthcoming in such magazines and journals as Arkansas Review, Big Muddy, Christian Century, Oxford American, and Prick of the Spindle. Cover photo by Chad Hunt. Featured photo by Wikimedia. Previous post“A Curious Migration”: on human virtue and the precarious survival of the monarch butterfly. An essay by Mary Quade. Next post“Seek and Hide Again": an essay on the adult dating years. By Lise Haines.